Referrals truly are the heart of my business. I am here to help you and your friends. My goal is to grow my business this year! I need your help. If you know any friends or family members thinking of buying or selling, I will take great care of them and of you. 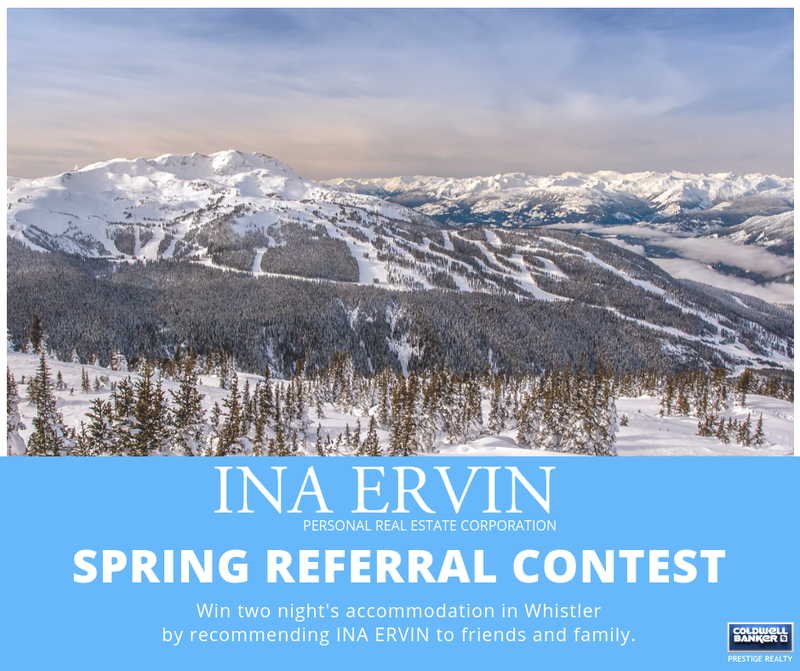 As a thank you, you will be entered into my Spring Referral Contest for a 2-day getaway in Whistler*. Enjoy a completely renovated, one bedroom in the Aspens, a highly sought after Benchlands neighbourhood of Whistler. This ski-in/ski-out complex, with ski valet, located slope side on Blackcomb Mountain, is only a 5min walk to the village and features year-round access to three beautiful outdoor hot tubs and a heated outdoor pool. The person who sends me referrals from November 2018-March 2019 is entered into the draw.